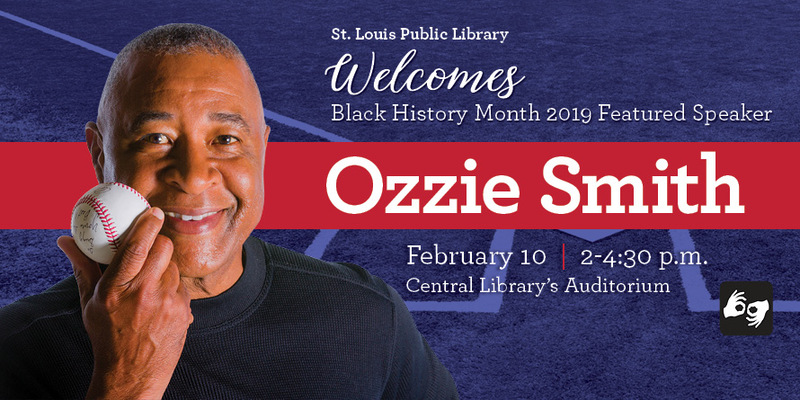 The St. Louis Public Library is proud to celebrate Black History Month with a speaking engagement featuring former St. Louis Cardinal Ozzie Smith on February 10 from 2-4:30 p.m. at Central Library, 1301 Olive Street. KSDK Reporter Rene Knott will moderate a lively discussion regarding baseball, Ozzie's legacy and the contribution of African-American players to the sport. After the discussion, Ozzie will be available for selfies taken with fans’ phones or cameras until 4:30 p.m.
*No items of any kind will be autographed or signed at this event.